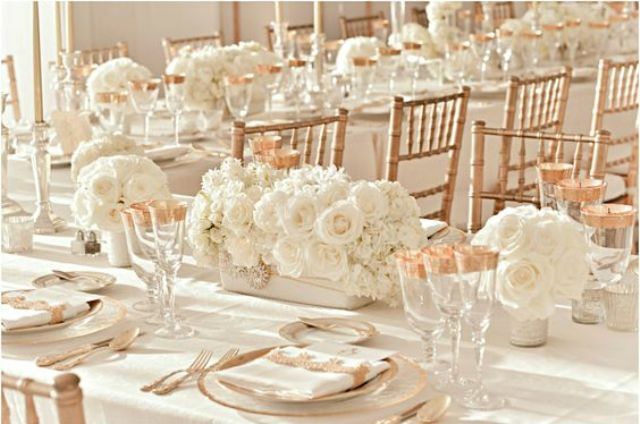 Gold and white has become glam classics that is used for different weddings in all the seasons. 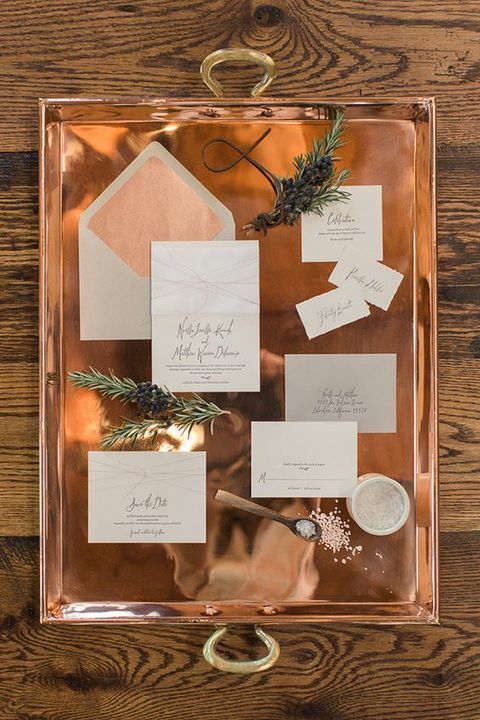 But if you are looking for something different, spruce this scheme a little bit with copper. 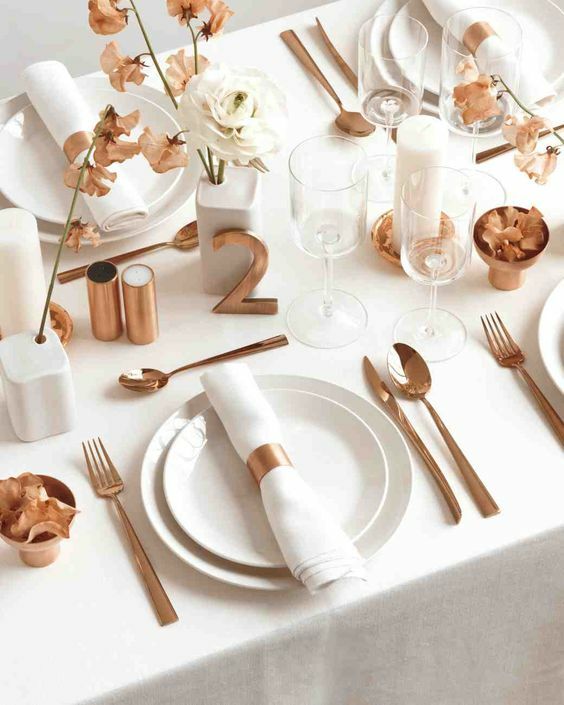 Copper is very edgy for décor now – it’s a trendy metallic shade but not so ordinary as gold or silver. 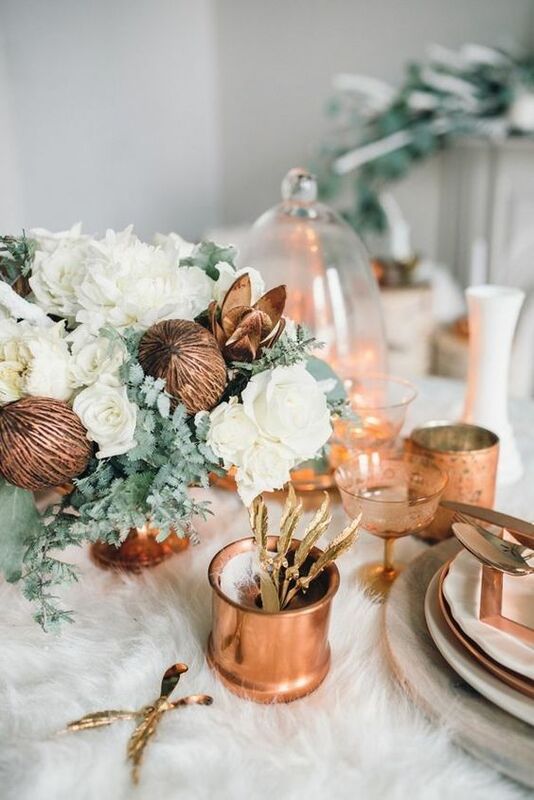 Copper and white will become a very cozy and soft et sparkling combo for your winter or any other wedding, let’s have a look how to pull that off. 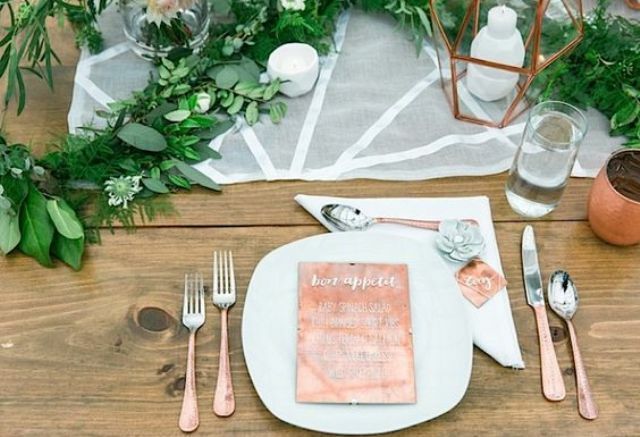 Adding copper touches to your looks is unusual and eye-catchy because not many brides dare to do this. 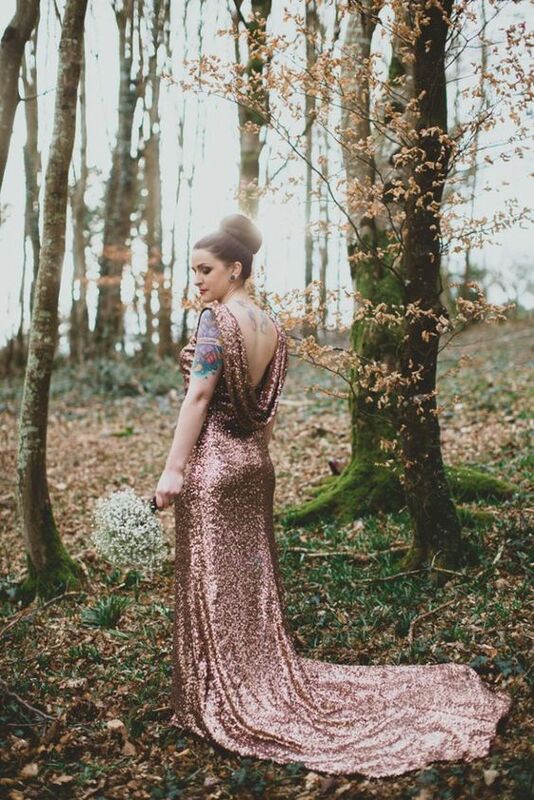 Try on a gorgeous glam copper sequin wedding gown, better with a statement back and impress everyone with that! 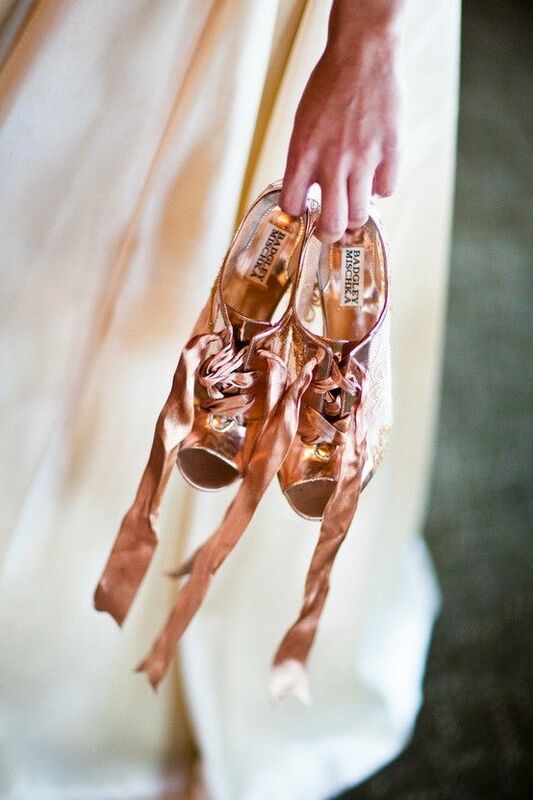 Another idea is a pair of gorgeous copper heels that will keep your wedding colors and add a touch of chic and glam to your look. 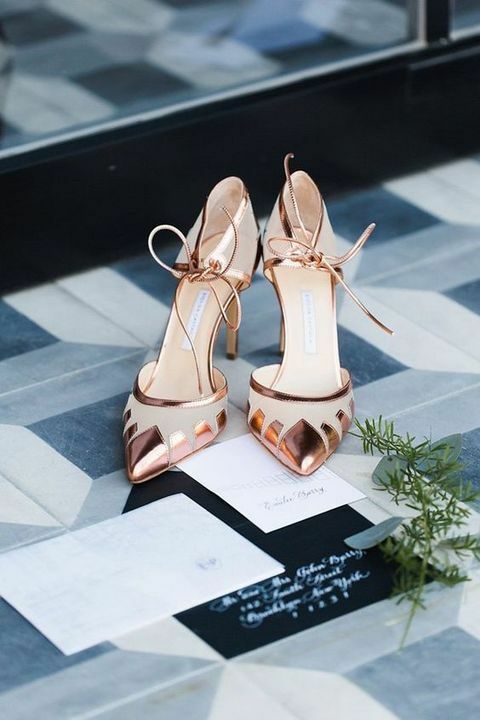 Don’t want to put on a different wedding dress? 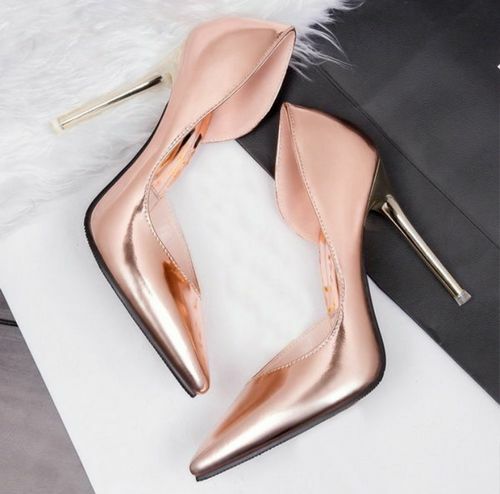 Dress up your girls! 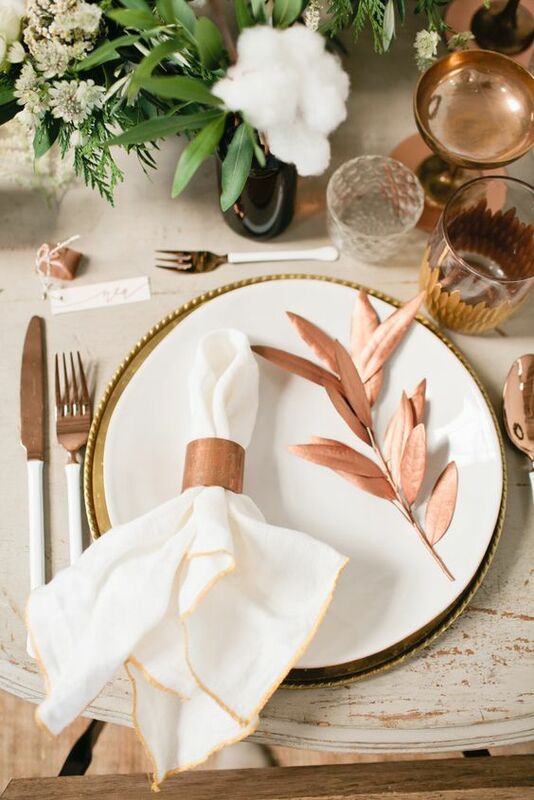 Let them put on copper gowns or skirts and tops and they’ll look great. 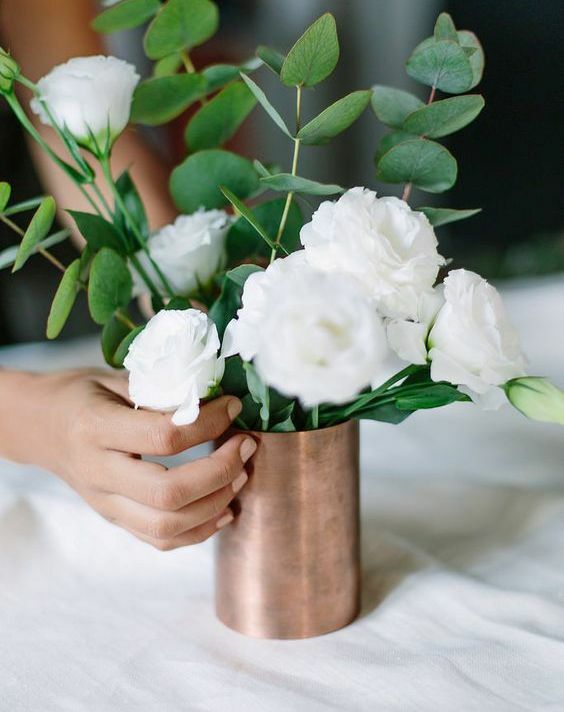 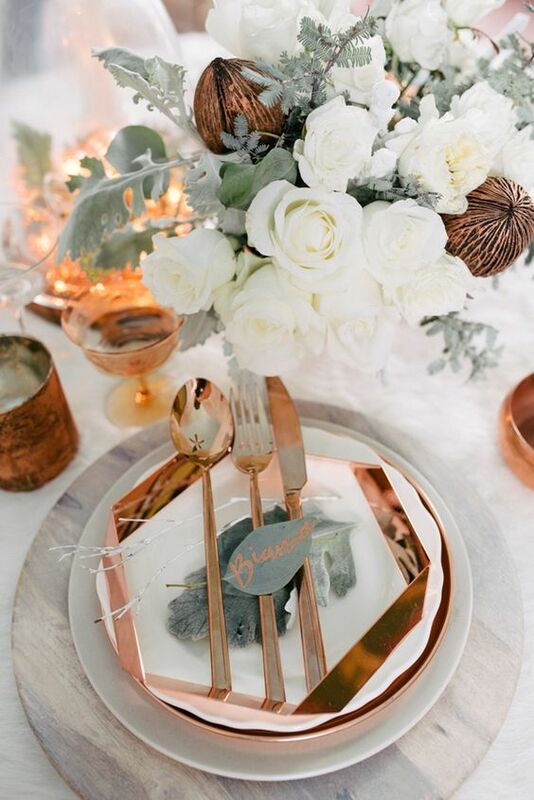 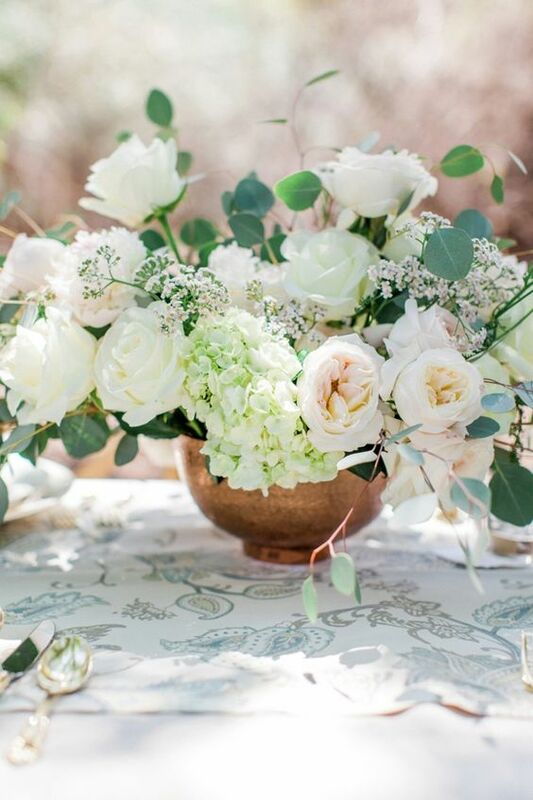 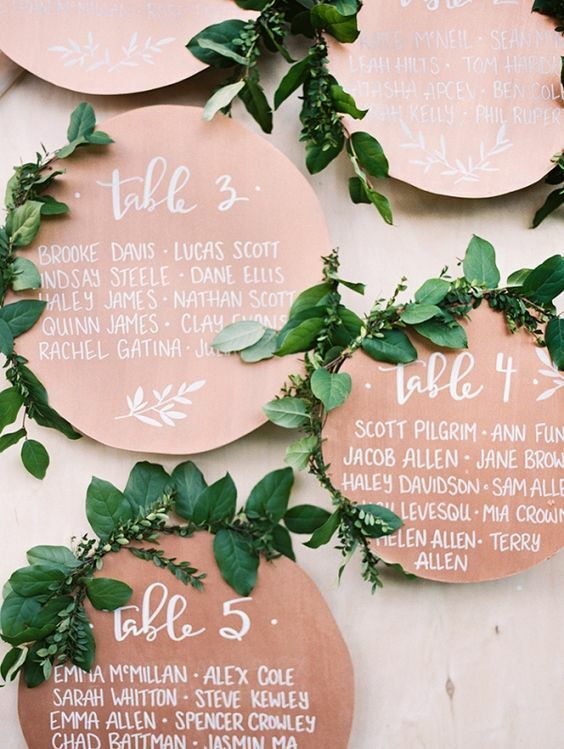 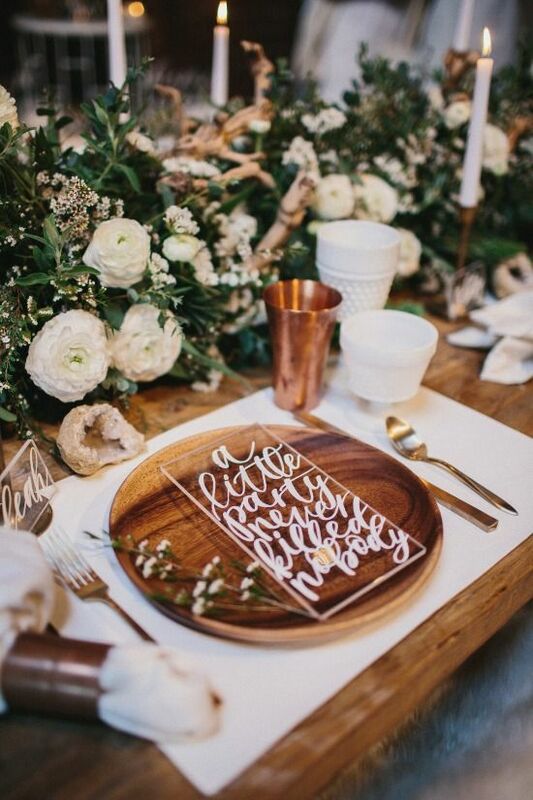 Create adorable wedding tablescape with copper details and white flowers and greenery. 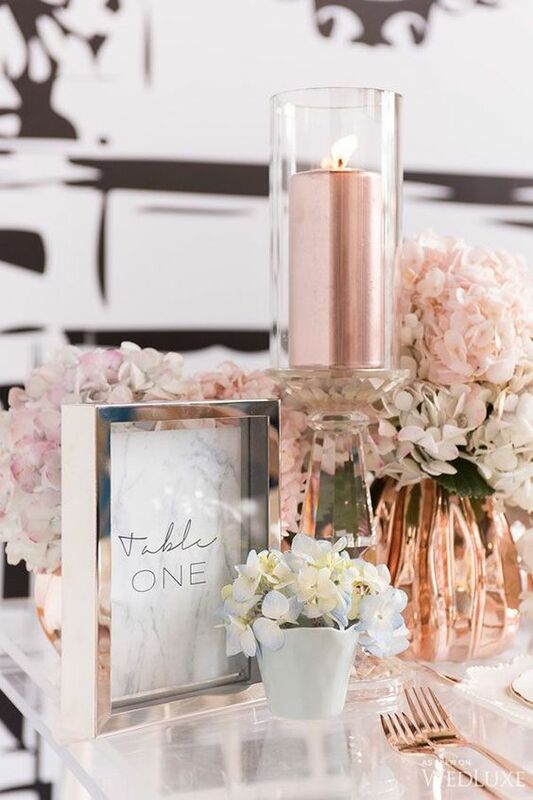 Stunning wedding stationery, tableware, vases, candle holders and trays for serving are right what you need to make your wedding chic, edgy and outstanding. 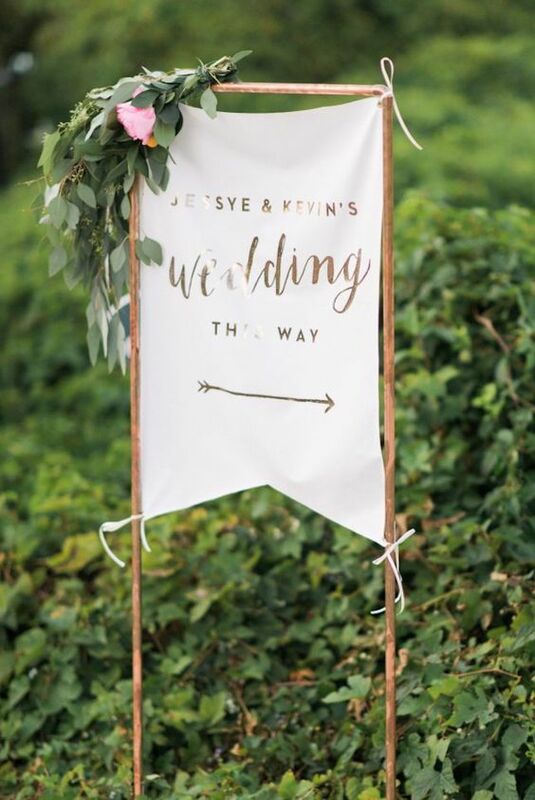 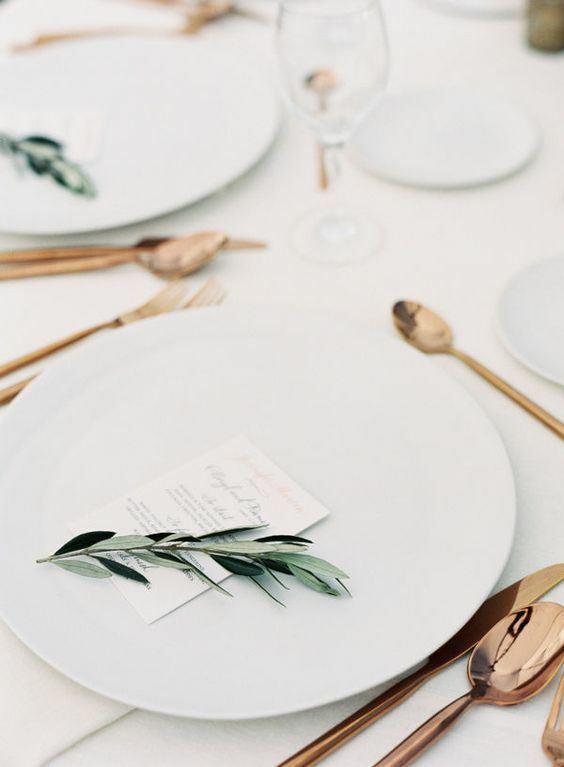 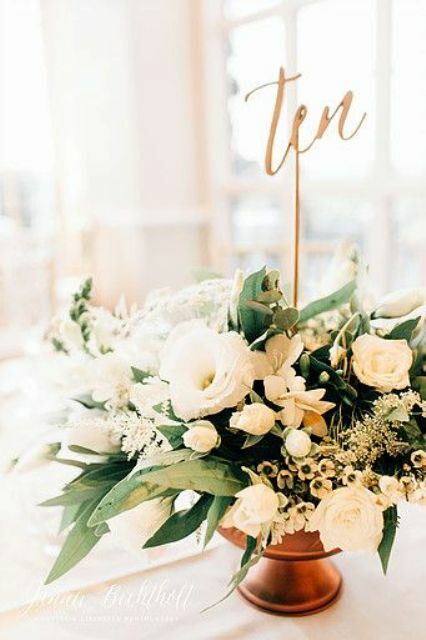 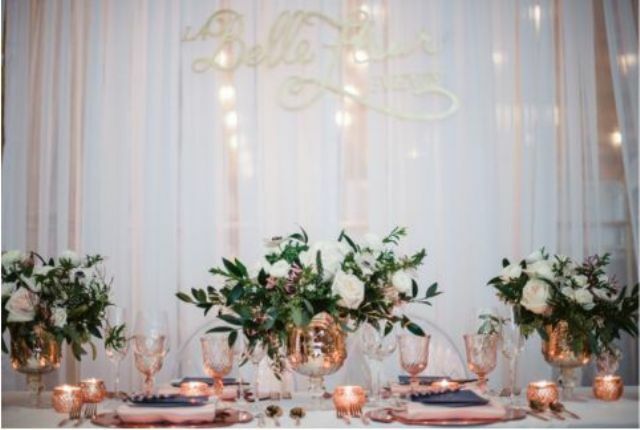 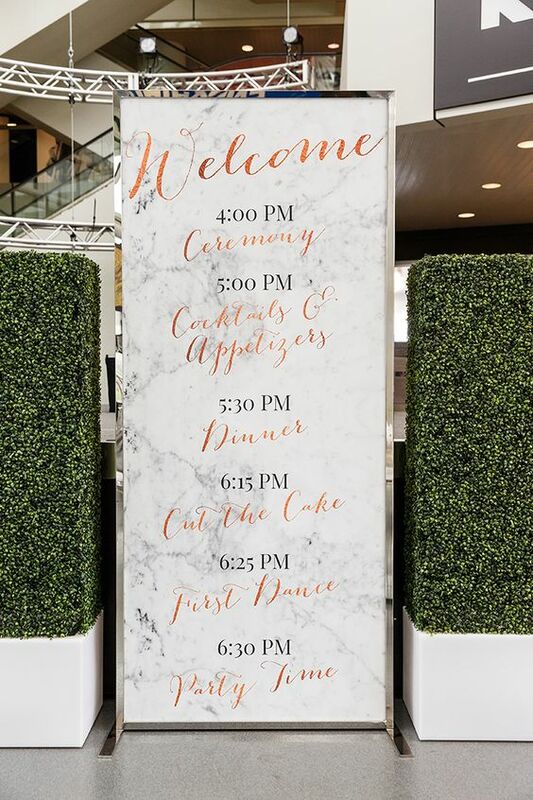 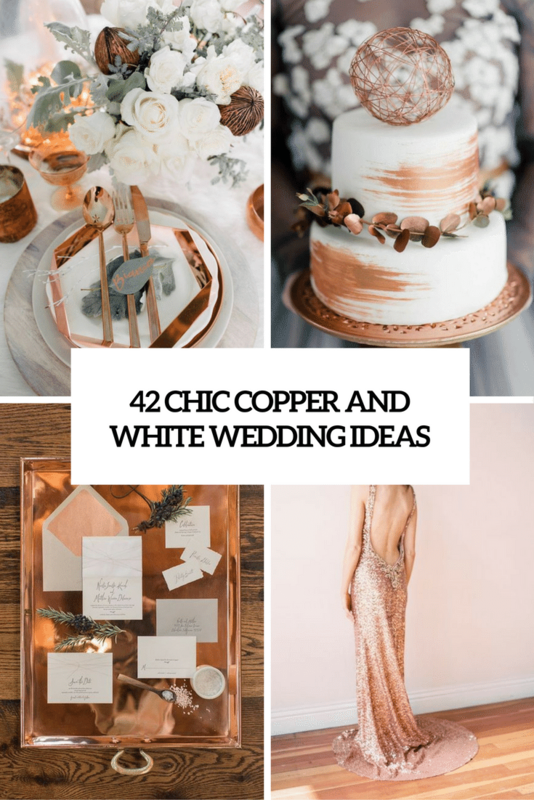 Copper and white seem to be created for each other and together they become a soft and cozy combination, which is ideal for any wedding, from a glam to an industrial one. 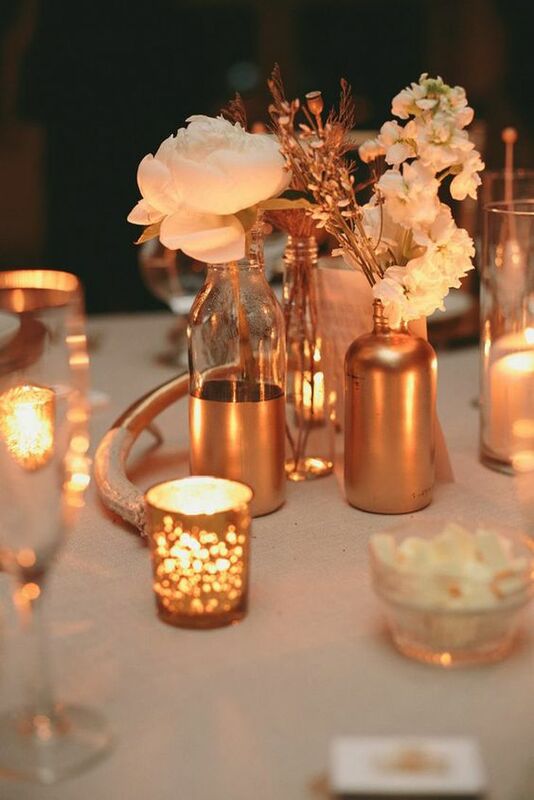 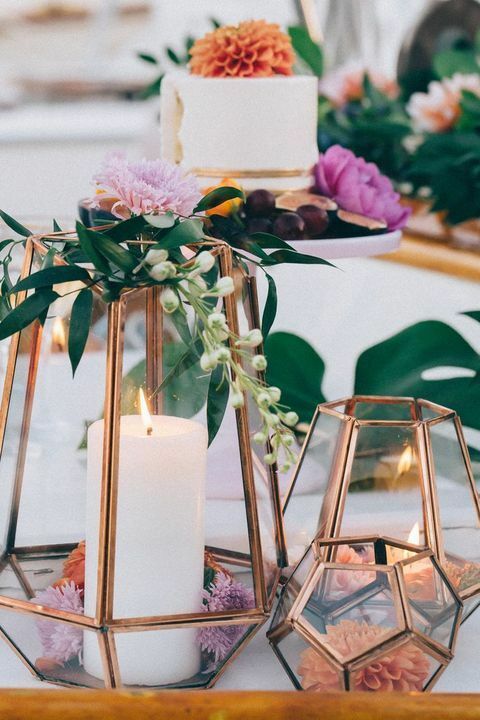 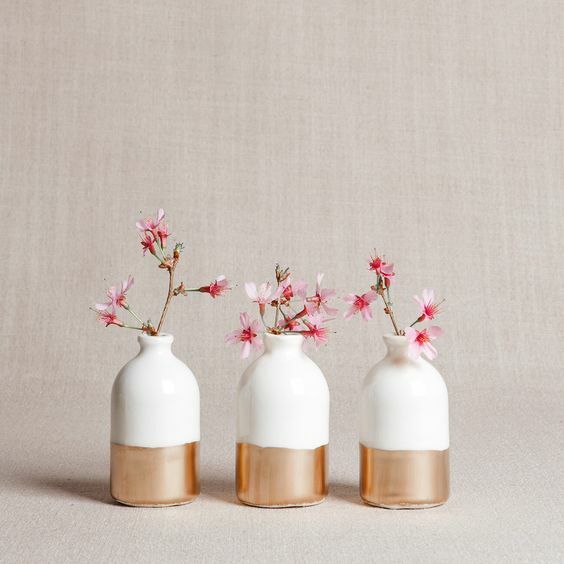 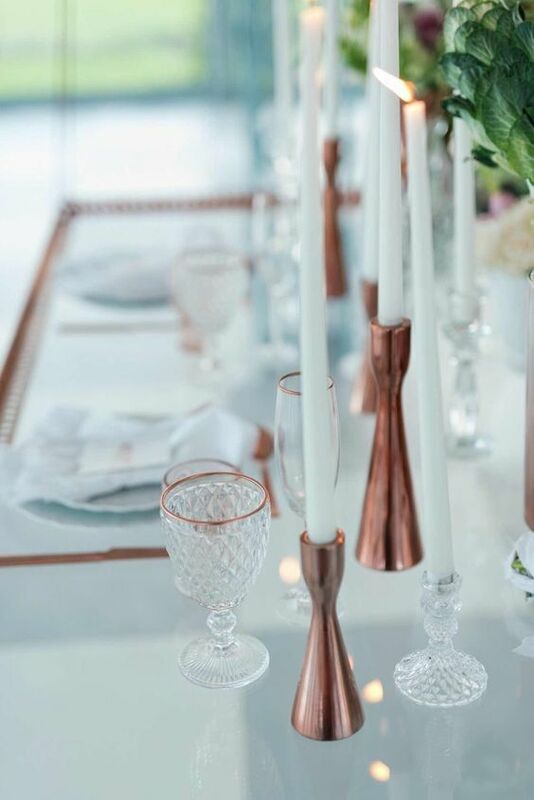 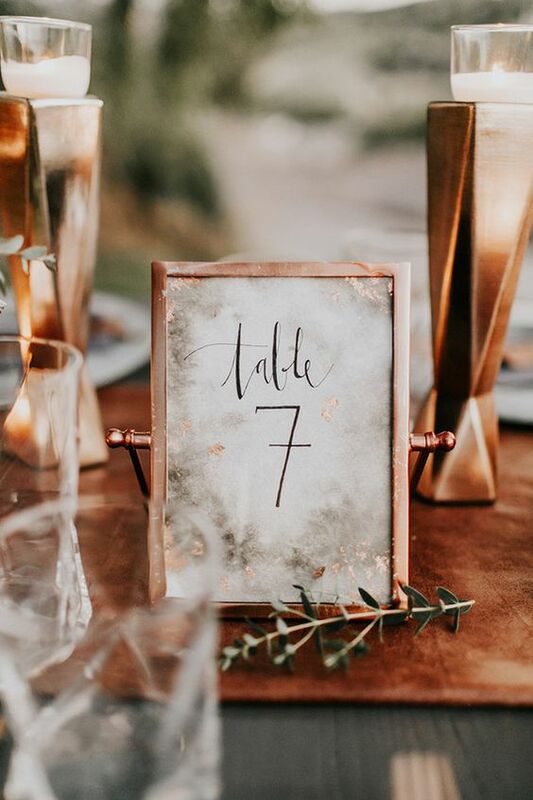 A copper vase with white flowers, white dishes and copper tableware, copper candle holders and white pillar candles – all this will make your wedding welcoming and eye-catching. 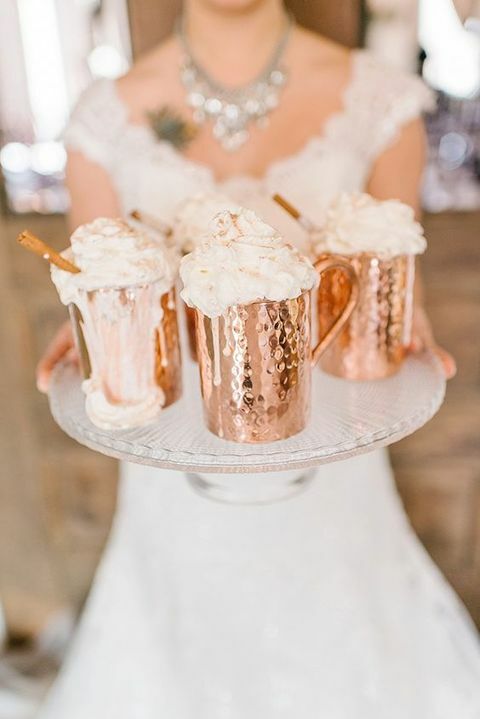 Copper and white are especially great for fall and winter weddings because of the warm feeling they give, to create a mood serve hot chocolate in copper mugs to warm up your guests. 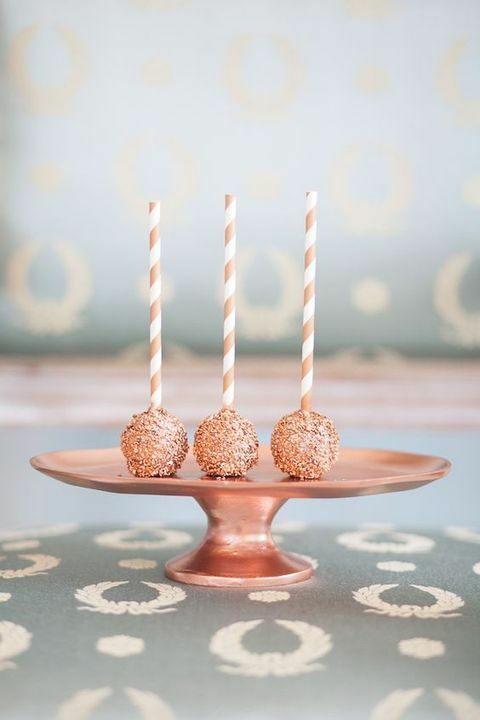 As for food, the main copper accent will be on the dessert table – candies, cake pops and cupcakes decorated with edible copper are amazing. 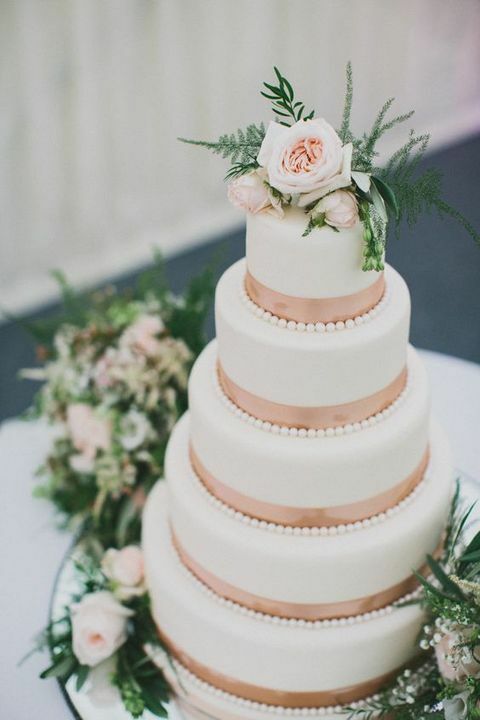 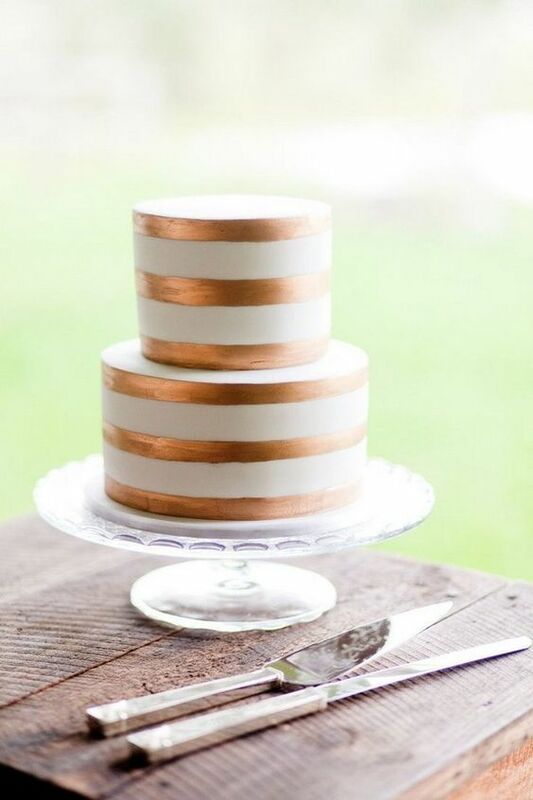 Order a copper and white masterpiece, a gorgeous wedding cake of several layers, decorated with copper touches, eucalyptus, drip, macarons and cake toppers. 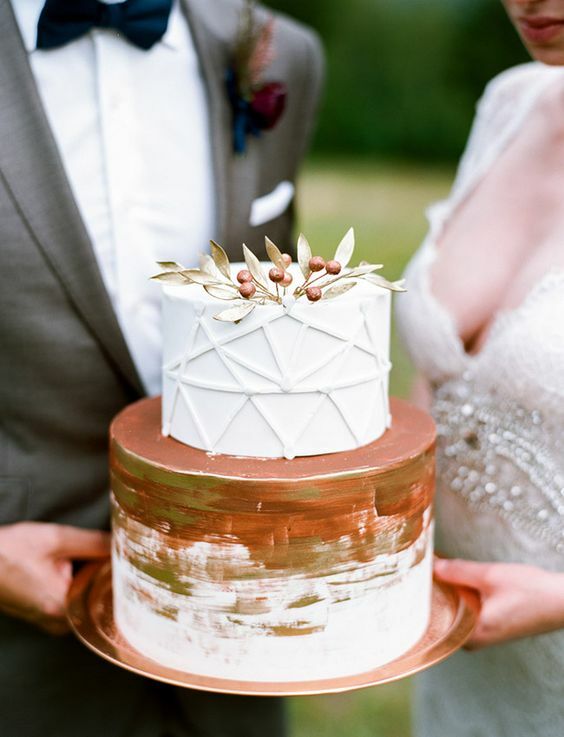 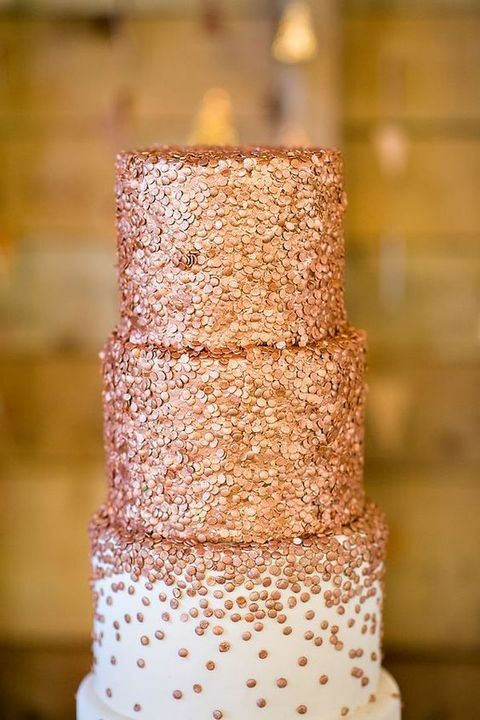 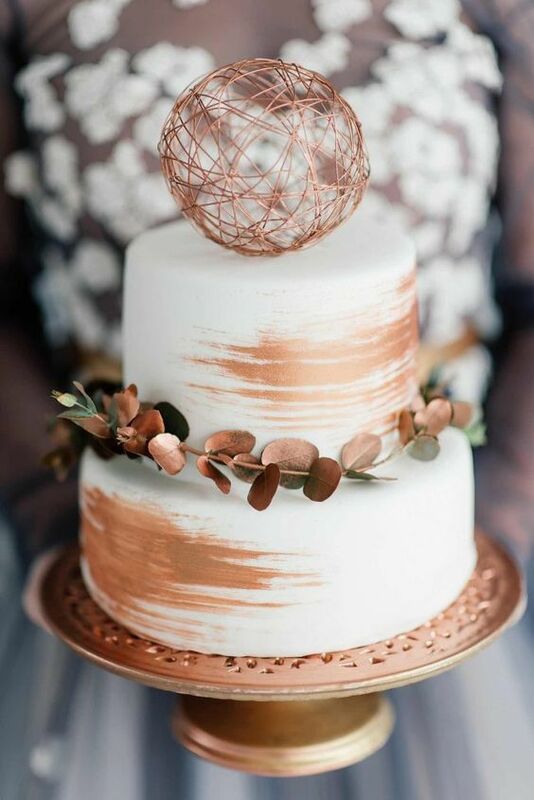 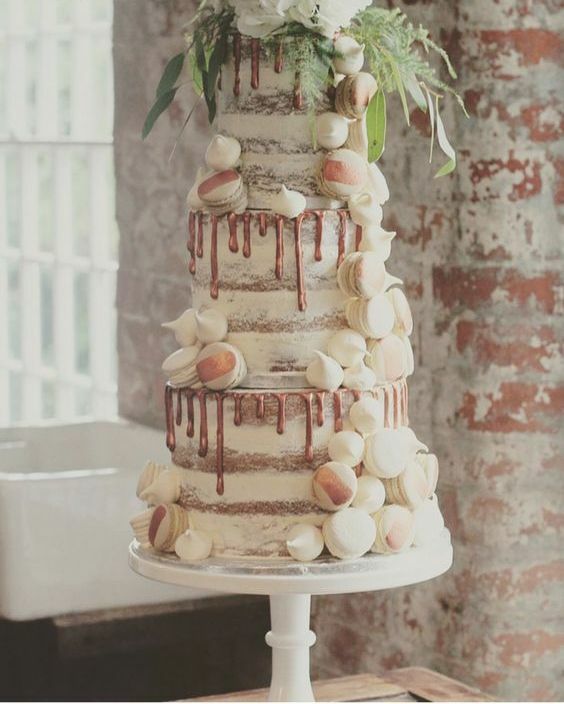 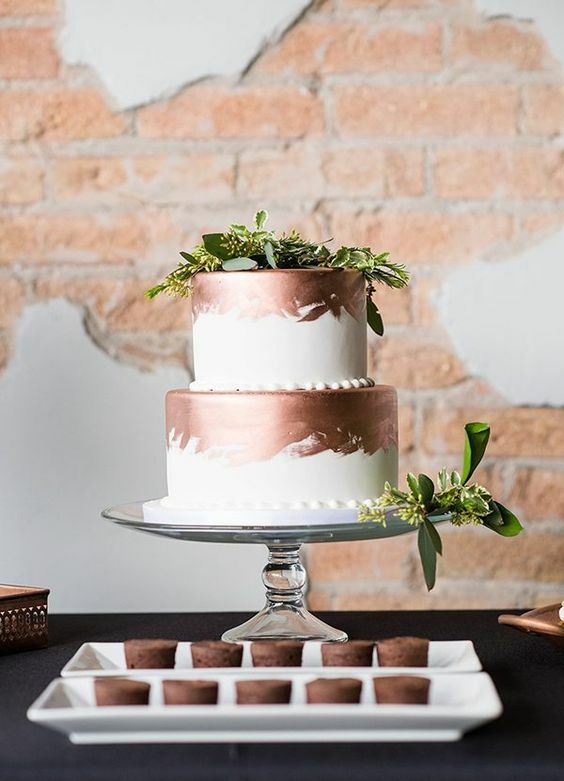 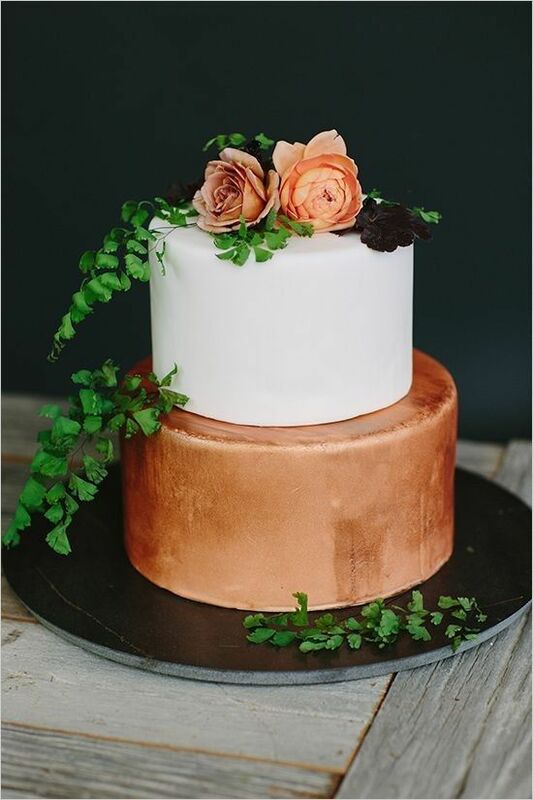 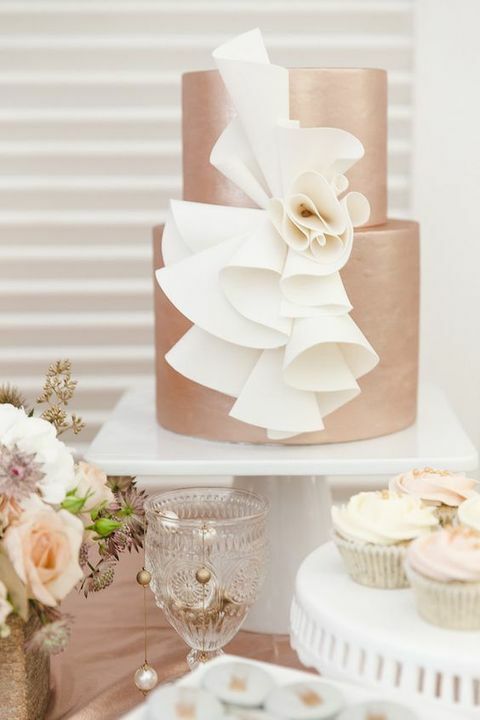 Semi naked wedding cakes with metallic copper touches look effortlessly chic.